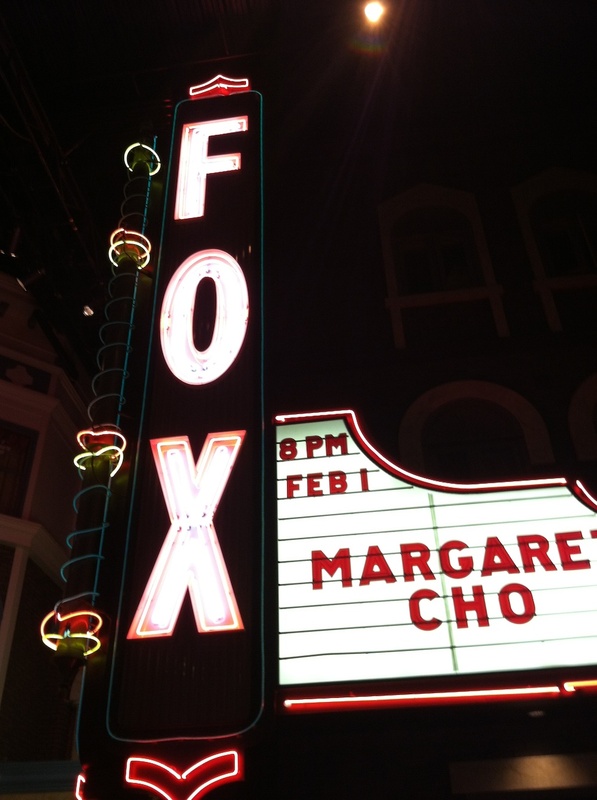 We went to see Margaret Cho perform at the Foxwoods Casino on Friday night. The casino is in Mashantucket, Connecticut so it was quite a schlep. But I had never been to a casino before and so was curious. Margaret Cho was great, as always. And she did impressions of both her mother and an English woman, and I love those impressions. She also did quite a bit of banter with the audience, which was impressive - it's one thing to have a comedy routine, it's another to be spontaneously funny. I really am a sucker for people who are naturally funny (and can do impressions) - I consider them geniuses, especially stand-up comedians. Their minds just work so fast, and in a way that's far more wondrous to me than an idiot savant who can do instantaneous prime number calculations, or tell you what day of the week any date was for ten thousand years. I stayed with a manic-depressive boyfriend for much longer than I should have because he was the funniest human being I ever personally knew, as well as an autodidact, and it was never boring to talk to him. This made up for the fact that 50% of the time he liked to talk about killing himself. Cho also mentioned that she had had a relationship with Chris Issak, which very much impressed me. I can understand if Cho, a bisexual, would be off men now - once you've had Chris Isaak it's pretty much downhill from there - especially if what she says in this New York Magazine article from ten years ago is true. 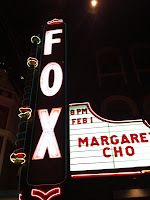 So I was impressed by Margaret Cho - the casino, not so much. I was flabbergasted by how much like a shopping mall it is, with crappy over-priced restaurants and knick-knack shops. Except that instead of Duane Reades and Gaps, they had a bunch of casinos. Another thing that was different from any mall I had seen is that in between the restaurants, shops and casinos, they had what appeared to be facades of buildings, like the Western town facades they created for Western movies. There was a City Hall and some olde tyme shoppes. The most interesting of these was something called Theatre Noir. 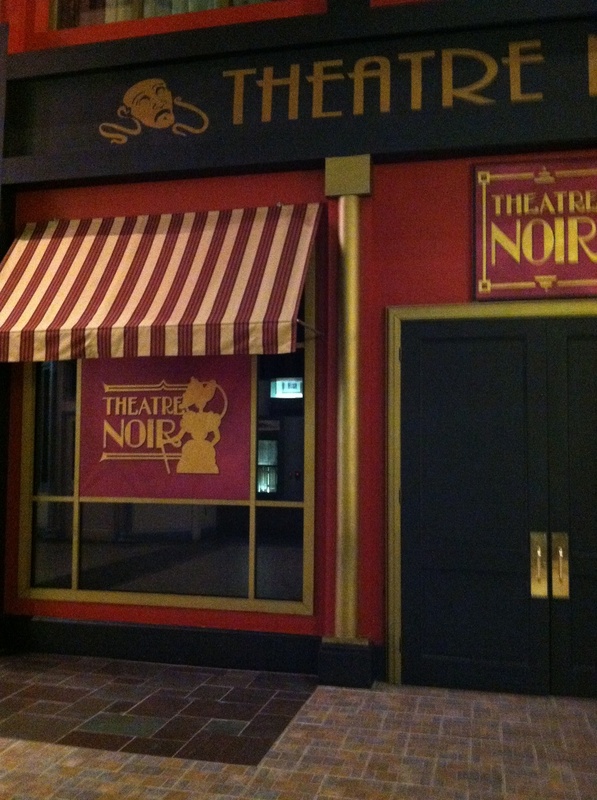 If there is not a Theatre Noir there should be - what a great name. One thing that really disappointed me was that I had heard that casinos hand out free drinks all the time - at least that's what I'd always heard about Las Vegas. Although since I was the evening's designated driver I couldn't take advantage anyway. But apparently they don't hand out free drinks, neither in the theater where Margaret Cho performed (although they sold drinks there) nor in the mall part. Apparently you had to go into one of those little shop-like casinos to get free drinks. Which I did not do. 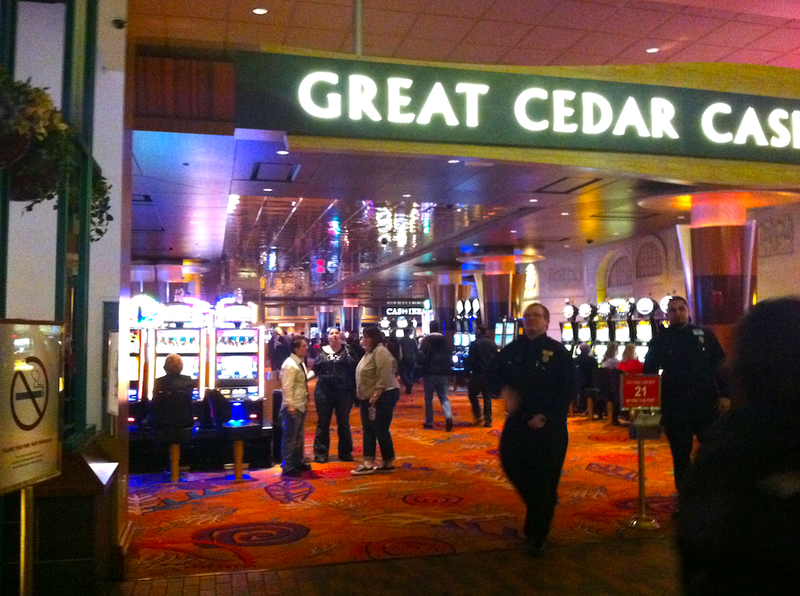 When we decided to go to see Cho at Foxwoods, I naturally assumed that I would do a tiny amount of gambling, just to have the experience, but two things killed my desire - the first was the appallingly mall-like atmosphere, and the second thing was the thugs. As we walked around the mall after the Cho show, I was taking pictures with my iPhone. So there I was a full thirty feet away from one of these little casino/shops and I pointed my iPhone at the entrance of the casino. And these two security thugs screamed at me "you can't take pictures of the casino!" I mean, I know that casinos are all paranoid about people devising tricks to beat the house, because the house always wins etc., but really? Me taking an iPhone picture from 30 feet outside the casino/shop entrance is part of some plot to rig the system against the casino? Well to hell with that - I'm never going into a casino if they're such a bunch of controlling fascists. I have no desire to play games with money anyway. Sheesh. And last but not least, there were no clocks in the entire mall. It was very creepy. I already knew that I wasn't a casino kind of person, but now I really know it. 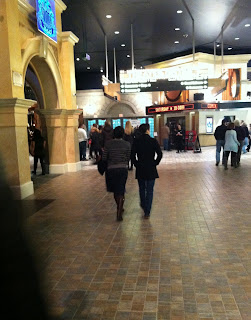 It's a nasty, depressing place, with all the style and class of a suburban mall and all the charm of low-level mafiosi. Next time I'll wait for Margaret Cho to come to New York City.